We sure hoped you enjoyed last week’s Hitchhiker’s Guide to the Galaxy Knit Doll Set Giveaway! This week we’re switching gears from the cute and huggable to the hideous and terrifying with action figures from NECA’s Cult Classics line – New Nightmare Freddy and Evil Dead 2 Henrietta! Read on to find out how these two dreadful demons can be yours! Evil Dead: One of the horror greats and a true cult classic! These figures were released in honor of its 25th Anniversary — at the time, they were the first Evil Dead action figures ever! Henrietta has over 20 points of articulation and includes an interchangeable alternate head with extended bendable neck and a display stand to re-create her floating and hovering as seen on screen. 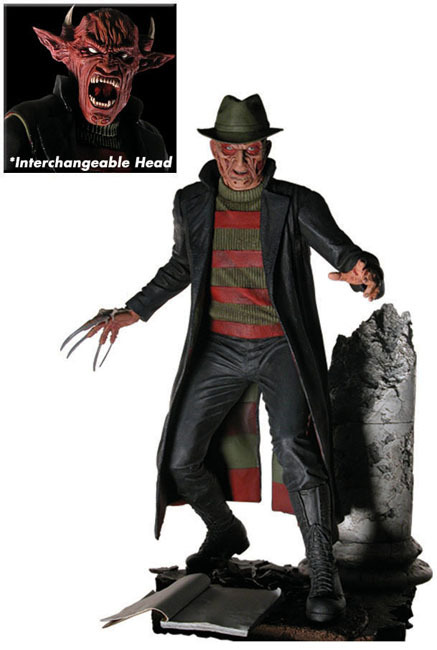 This 7″ scale figure is highly detailed, fully poseable and comes in clamshell packaging. “This time, staying awake won’t save you.” In Wes Craven’s New Nightmare, horror film icon Freddy Krueger is revealed to be the embodiment of ancient evil who had been contained through the stories that were told about him. After The Final Nightmare, he was able to break free of his character’s fictional existence and cross over into reality. 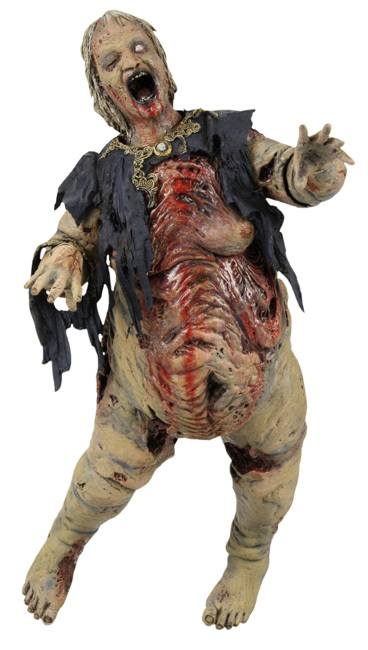 This 7″ scale figure is fully articulated and features an incredibly accurate sculpt! It includes alternate head, hat, movie script and themed display base. 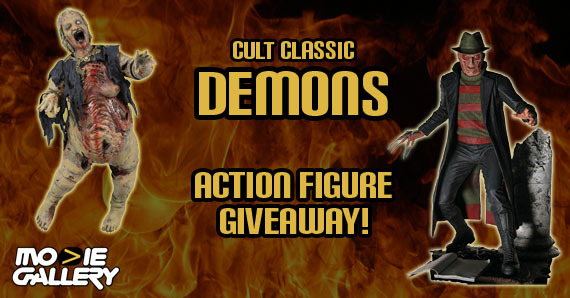 This entry was posted in Contests & Giveaways, The MG Blog and tagged freddy krueger, neca cult classics, neca evil dead by mgadmin. Bookmark the permalink.